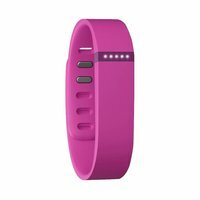 Small Violet Strap Fitbit Flex Band can be your perfect partner for tracking your physical activities performances including swimming, cycling, or running. 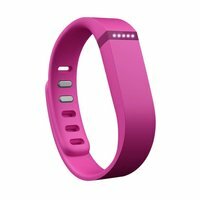 It is designed having completely waterproof structure that can easily fit on all wrist sizes. This band is also admired for delivering call & SMS notifications with blinking lights. It is also provided with auto sleep tracking feature which monitors how long you sleep. Small Violet Strap Fitbit Flex Band has exceptional battery life of up to 5 days per charge. It has sleek design with light weight hence convenient to wear 24*7.